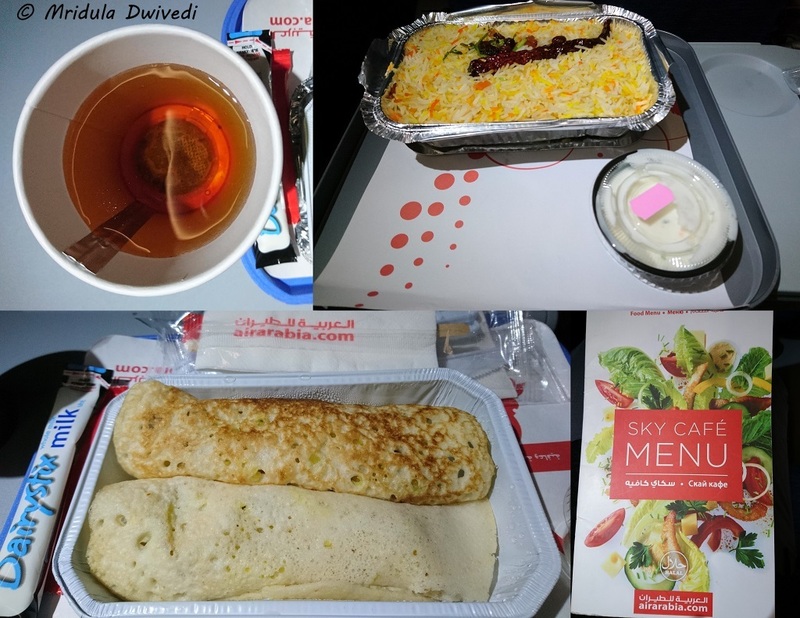 I recently had the experience of flying Delhi Sharjah Delhi with Air Arabia. Air Arabia is a budget airline with A320 planes in their fleet. They have three type of fares, basic, value and extra. The basic fare includes the ticket and 10 kg hand luggage allowance. The value fare includes 30 kg checked in baggage and a sandwich with water. The extra fare includes 40 kg checked in luggage, hot meal, any seat with flexibility for modification and cancellation. You can check out the destinations they fly to from this link, Sharjah is their hub. Do Check In Online at the Website! I would suggest you check-in online for a smooth experience at the airport. The flights I took were nearly full, so the queue for normal check-in was long both at Delhi and Sharjah Airports. However, as I did online check-in, my lines were short. At Delhi there was no one in the online queue. In Sharjah there was a short queue at the online counter which moved quickly. For airport security, do remember that at Sharjah they do the retina scanning as part of security procedure. At the moment Sharjah Airport doesn’t have free WiFi. Both my flights landed before time which was a thing of joy! The seating is 3X3 and comfortable. I had window seats both the times. The in-flight entertainment on this leg is through common TVs. There was Mr. Bean, Just for Laugh Gags, Destination based documentaries and more. On the return I slept peacefully for one and a half hours. I woke up only when they announced the descent to Delhi! A 320 is a popular aircraft and many budget airlines use it. However Air Arabia gives 32 inches of seat space instead of the standard 28. 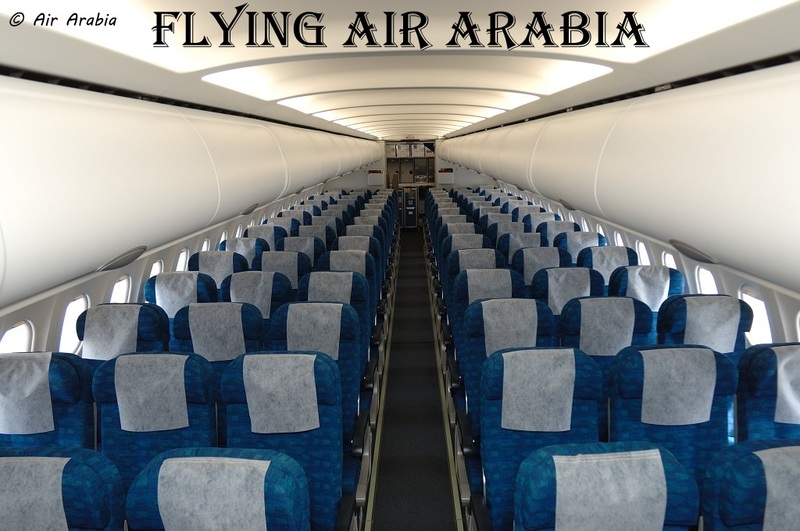 Many airlines operate the same aircraft with 180 seats whereas Air Arabia does it with 165 seats. There is food for sale on board. You can pay both in Indian rupees and Dirhams. Water is paid too. My meals were booked online but I did buy tea on my return flight, it was 7 Dirhams. I had Masala Dosa while going and Veg Biryani while coming back. While going there were two gentlemen next to me who did not speak English. They wanted water and Chicken Biryani. They thought the water was free. When they realized that it was paid they said they didn’t want it. The cabin crew serving at that moment didn’t speak Hindi. So, I was the unofficial interpreter. I told the cabin crew they don’t want the water. They said they have entered it in their system, they can’t change it now. So, I paid for the water and everyone went home happy! 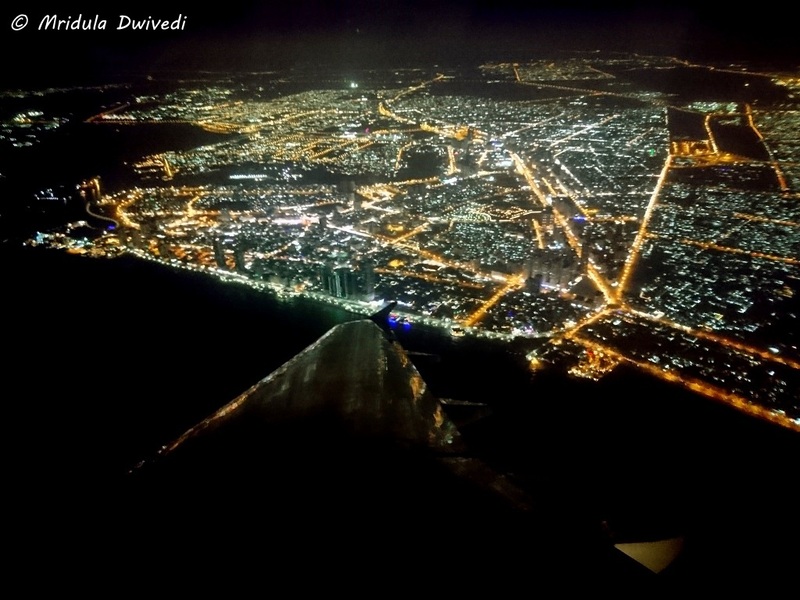 The Take Off from Sharjah! 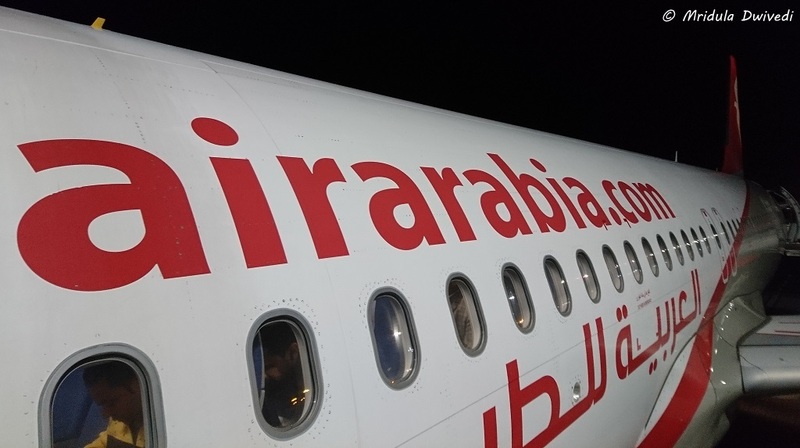 I had comfortable flights with Air Arabia. Even though they sponsored my tickets, the ground and the cabin crew had no inkling of it, I was treated like any other normal passenger. And I was treated well. If you are looking for a value for money airline to fly to UAE and beyond, do consider Air Arabia. PS. I was invited to Sharjah by Air Arabia and Sharjah Tourism Board.